Have you been a victim of a non fault whiplash injury accident? If the answers are YES, then you may be entitled to claim compensation. Whiplash can be a very serious injury depending on the severity of the crash, how well you were protected amongst a number of other factors. The point of claiming for compensation is to try and put you in the same or a similar position that you were in before the accident occurred, thus a monetary value is added depending on the severity of the whiplash injury. Should I Make a Compensation Claim for Whiplash? There are statistics (source) to show that although car accidents have been lessening over the past few years, the opposite has been happening with whiplash claims for compensation. Due to this and articles written in the newspaper about fraudulent whiplash claims made, there is a sort of “stigma” attached to making a claim for compensation after a whiplash injury. You pay for car insurance for the purpose of covering you when anything happens to you or the car, so we do encourage you to not feel bad about making a claim (if you have a legitimate whiplash claim), as whiplash is a serious injury and a lot of people that have suffered from this type of injury are maybe hesitant in making a claim because of the media. When making any personal injury claim for compensation, there are 2 aspects that you can claim for. The first is the actual injury damages. This is the amount of compensation that is determined based on the severity of the resulting injuries caused from your non fault accident. Thus, if you have suffered a mild form of whiplash, you would be entitled to less than a more serious form of whiplash that could potentially be chronic or leave you disabled. These are the usual costs that are recovered from the other side. There can be however additional costs that are recoverable, so our job is to negotiate with the other party’s insurers to get you the best deal for settlement. In cases of whiplash injuries, the compensation amounts range dramatically. The minimum payout is £1,000 and the maximum is £97,500 for very serious cases resulting in paraplegia and quadriplegia (sometimes called tetraplegia). These are symptoms of spinal cord damage and can be associated with whiplash injuries resulting usually from very serious road traffic accidents. Most whiplash injuries that occur are usually not serious in the sense that the symptoms are short lived. For example the outcome of the whiplash injury would be headaches and a mild discomfort that would last anything between a few days to a few weeks. These cases are usually settled for between £1000 and £3000 usually. If you have suffered from a more serious case of whiplash, then the amount of compensation you receive would be more. If you have had an accident that wasn’t your fault and as a result have sustained a whiplash injury, then we do encourage you to ignore the media and not feel bad about making a whiplash injury claim for compensation. You can contact us on 0161 82 11 229 or fill in the form provided to start you claim for compensation. We will work hard to win your claim for compensation and your trust along the way. > Whiplash Claims – Information on claiming compensation for a whiplash injury. 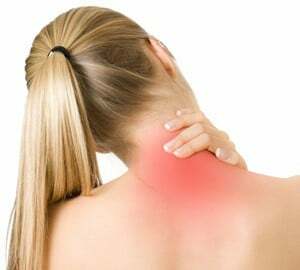 > Whiplash Symptoms – Information on whiplash symptoms and whiplash compensation claims. > Whiplash Injury – Information on injury types that can be sustained after an accident that caused you whiplash. > Road Traffic Accident Claims – Information about road traffic accident types and how to make a claim for compensation.